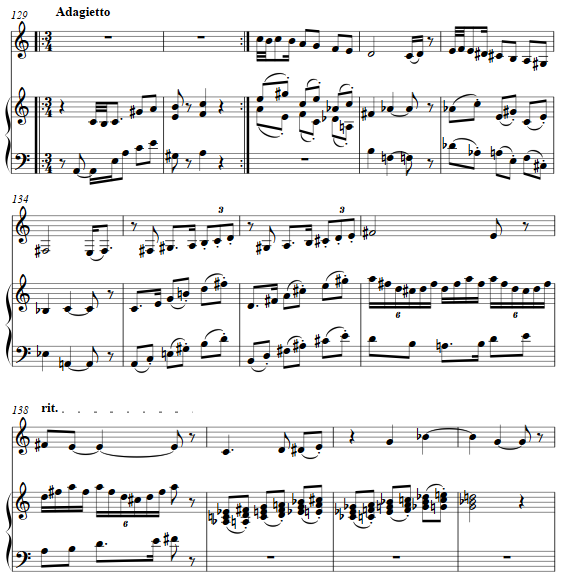 As musical sibling to another sonatina in a set for solo instruments and positive organ, this for English horn and organ is in three connected movements. 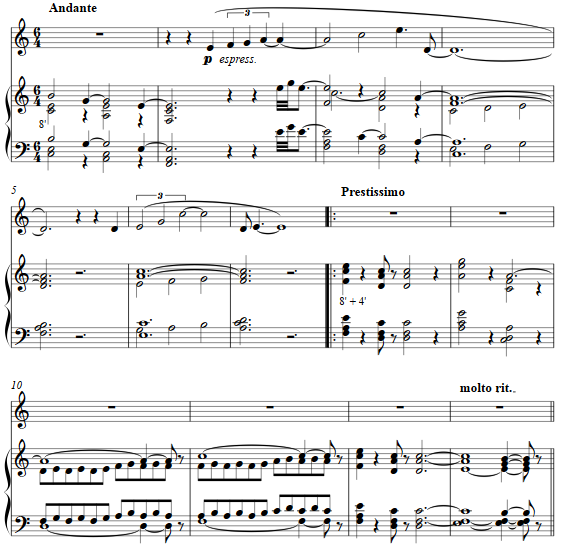 The first movement begins with a short introduction leading to the prestissimo. The central theme awaits exposition until elements are first introduced. 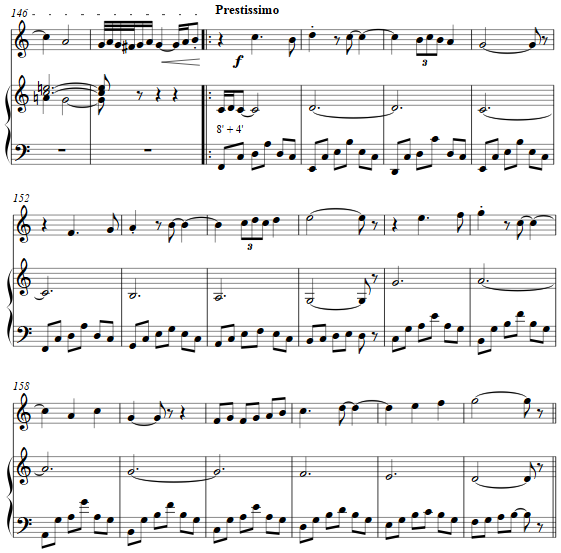 The second movement is lyrical with close harmonies in the accompaniment moving in homophonic manner with chromatic ease as the solo line nests generally within its boundaries. .
A short third section plays with fluxing major triads surrounding a simple major scale nested within. 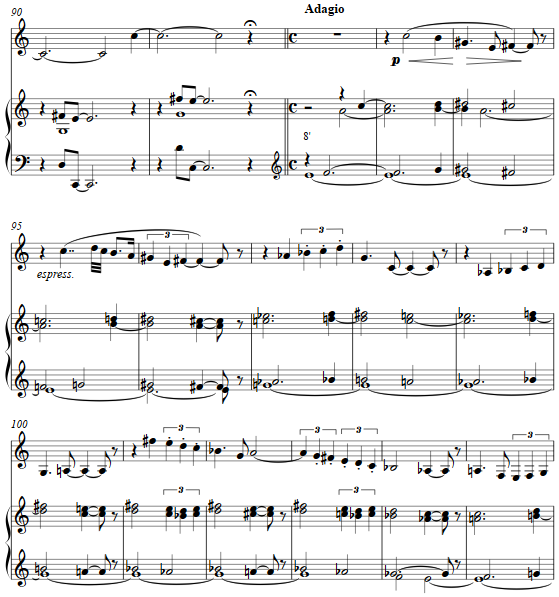 The final movement is a short rondo, with simple crab canon interludes.